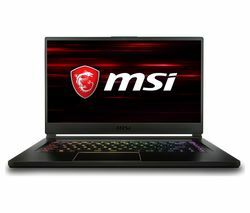 Gaming laptops feature high-performance processors and dedicated graphics cards, so they can run the latest and greatest PC games. Whether you’re just getting into gaming or upgrading to your dream setup, there's a gaming laptop with the specs and price to suit you. 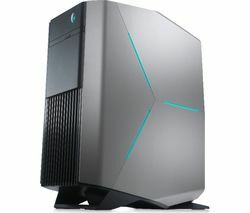 Gaming PCs have the best specs around, with the processors and graphics cards to run the biggest and best games. Whether you’re upgrading or looking for your first gaming PC, we have something you’ll love. The right monitor can transform your gaming by making every image super smooth and providing lightning fast response times. Upgrading your monitor lets you get the most out of your 4K console or top of the range graphics card – perfect for next generation gaming. You’ve got your setup sorted – now it’s time to play. 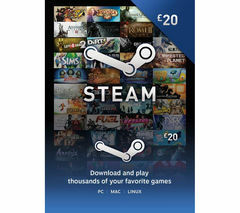 Choose from the latest titles, classics that are full of nostalgia, or a Steam card that gives you credit to choose from a huge online shop. 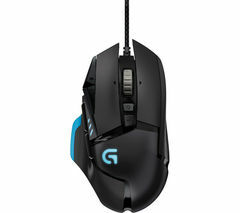 The better your gaming mouse, the faster and more accurately you can take out your opponents. A good gaming mouse is sensitive to small adjustments, has loads of buttons that you can assign, and has a comfortable design for longer gaming sessions. Gaming keyboards give you more control in game and are designed to be more comfortable. 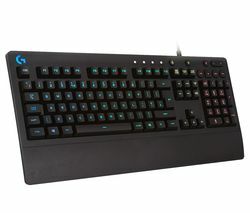 To upgrade your gaming experience look out for a keyboard with mechanical switches, programmable macro keys and RGB lighting. Optimise your gaming experience with gaming surfaces for the perfect balance of control and speed ideal for action-packed gaming. Upgrade your controller to match your favourite game, or get some extras in for when friends visit. Pick from our huge range of controllers to find just the right one for your gaming setup. Our gaming accessories range has everything you need to complete your setup the right way. 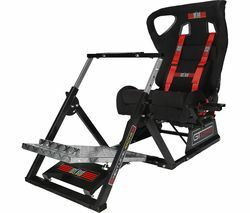 Get a great gaming chair, pick up essentials like cables and capture cards, or treat yourself to a racing wheel or green screen. 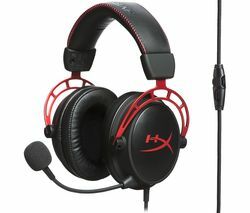 Gaming headsets let you hear everything happening in the digital world in front of you. Whether you’re picking out footsteps in an FPS or taking in the atmosphere of your favourite MMO, you can experience in-game audio at its most detailed and immersive. 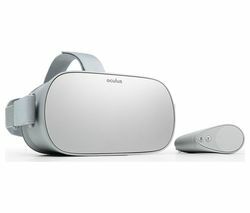 Explore the worlds of your favourite games like never before and completely immerse yourself in unique experiences with VR. Virtual reality headsets bring you right into the game, so you can explore Space, tiptoe around an asylum and jump aboard a rollercoaster. Whether you’re upgrading your existing PC for more power, or starting over from scratch – choosing your own PC components gives you the freedom to create an absolute beast of a gaming PC. 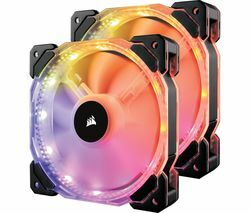 Pick from overclocked processors, flagship graphics cards and motherboards with all the bells and whistles (and lights!). UL rating – which gaming PC fits your needs? To check the performance of every gaming PC, we work with independent experts at UL, who benchmark and rank each laptop and desktop. The higher the score, the better the performance. On each product page, you’ll see a 3DMark score, which is an easy way to tell how each product ranks. So, if you’re torn between two PCs, check the UL 3DMark scores, and you’ll know instantly which is better for gaming. Gaming – Essential: Full HD (1080p) gaming on most titles. Gaming – Enthusiast: Full HD (1080p) on all games at pretty much any setting. All PCs in this group are also VR Ready. Gaming – Serious: Quad HD (1440p) resolution on most games. VR Ready. Gaming – Pro: Play almost anything in Quad HD (1440p) and most games in 4K Ultra HD. VR Ready. 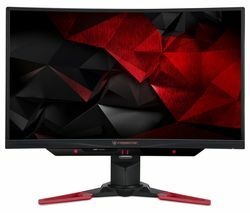 Gaming monitors come in a variety of sizes with a number of different features. Consider more than just the screen size – just like a TV you’ll want your gaming monitor to have a high resolution that’s full of detail. And to make every image smooth in the heat of battle, choose a monitor with a high refresh rate (144 Hz is what most people look for) and low response time (measured in ms, the lower the better). Want to game in 4K? 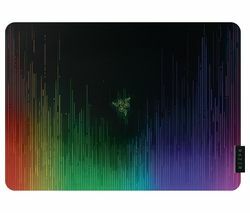 It’s worth checking what graphics card you have, so you can match your monitor to your desktop. 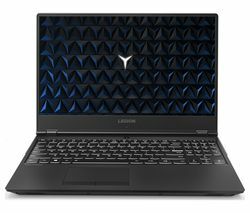 Stuck between picking a laptop or desktop? 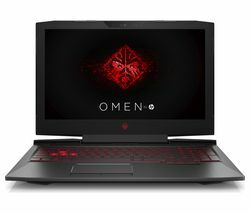 Gaming laptops are designed for convenience and portability, while desktops are stacked with power and can be easily upgraded. Gaming headsets come in both wired and wireless options, so you can choose between the freedom of wireless headsets, and the improved signal of wired headsets. It’s worth thinking about what kind of microphone you want too. If you stream your gaming or want to stay in constant contact with your team, a boom mic is a great choice for clear audio. But if you’re not that chatty, integrated mics are more discreet. When you choose a new gaming mouse, it’s worth considering whether you want wired or wireless. Wireless mice offer the mobility to navigate around a huge desk, whilst wired mice have a more stable connection and tend to be more affordable. Looking to adjust how sensitive the mouse is? Keep an eye out for the DPI number – the higher the number the more sensitive the mouse is to tiny adjustments. Some mice also have adjustable DPI, so you can switch from tiny movements in-game to a more standard sensitivity for finishing off a work project. A good keyboard is an essential piece of gaming equipment, both for comfort and performance. A wireless keyboard will allow you to kick back in your favourite gaming chair, while a wired model won’t have you worrying about signal or running out of battery. You’ll then need to decide between a mechanical and non-mechanical (also known as membrane) keyboard. Some gamers prefer the tactile, audible feel of a mechanical keyboard with their traditional clicky keys that tend to be more responsive. But membrane keyboards are generally cheaper, and let's not forget that some people want to type in silence. Whether you’re looking to upgrade to meet the requirements of this year’s biggest release or fancy a new mouse, keyboard or headset, we have everything you need to get the best from your PC. If you know what you’re looking for you can shop by category and brand. If you want to learn more or are looking for a bit of advice, we’ve highlighted a few things to keep in mind when browsing.